Without proper care and maintenance, your flooring can lose its luster, becoming dull and detracting from the image of your business. Over time, vinyl, linoleum, stone, and ceramic tile develop buildup which actually attracts dirt and stains. Mac’s Janitorial Services can make your vinyl flooring look brand new by stripping and then replacing sealer, and then buffing your flooring to a high-gloss shine you’ll be proud of. Mac’s can also keep your stone, tile, and grout in great shape by cleaning and polishing it to its original condition. Regular maintenance of your flooring will ensure longer life, and a better impression of your business. Whether its vinyl, linoleum, stone, or ceramic, we offer New Jersey flooring refinishing services to Burlington County, Camden County, and Northern Gloucester County. 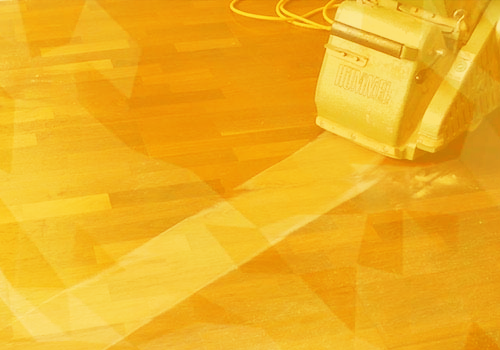 Environmentally-conscious- we use only “green” products when performing floor refinishing services. This keeps your employees, customers and clients safe as they enter and leave your building. Cost-effective savings- hiring our professional team will ensure the job is completed properly each time we come out to your site. No sub-contract work- all work is performed by our licensed and insured employees. Customized and personalized service- we make sure to meet your entire floor refinishing needs. Do you want to get the most life out of your flooring? Call Mac’s Janitorial Services about your floor stripping and refinishing needs today.